Im only getting the malmsteen now so the sg and the v are up for grabs again ! Wrong ... the SG is now spoken for. Are you open to part ex's or is your latest cull complete? Looking at your V matt. Any closer, newer pictures. I'm figuring it's darker than I want but want to take a closer look. Yeah I’m doing a few part-x deals, but am trading up ... whatcha got?! It’s matt black with an ebony board and all-black hardware ... there is none more black! I can get photos of owt you want, just let me know. I've got an Ibanez RGA321F with a set of Seymour Duncan Sentinel/Nazgul humbucker in it. I can get more photos up tomorrow if you are interested? I'm interested in the N4. Not a trade up, more sideways. The 321 is very highly rated though. 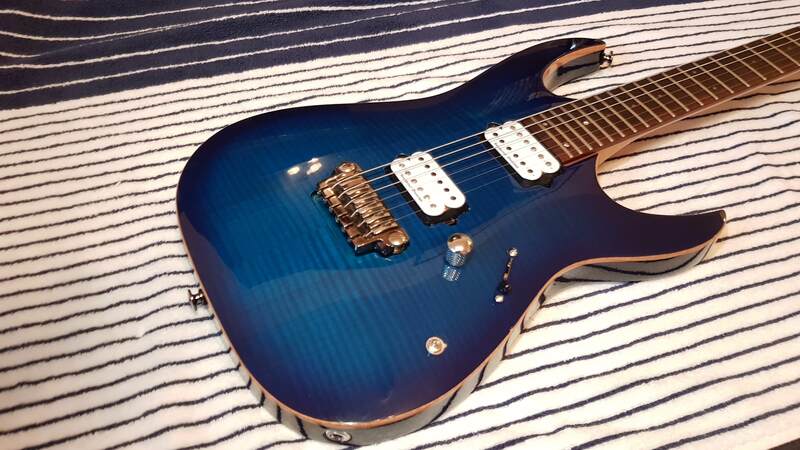 One of the best Ibanez models made since the 80's. The Bolt went years ago mate ... a little too out-there for me. I was actually really surprised the Bolt went, cause of emotional value and all. I can see your point though. Agree on that one, there's not one guitar of mine I wouldn't sell if offered the right amount. I want a jazz guitar but then I keep looking at Hex. This ain't fair yo.